In Norfolk, Virginia, a church day care director was arrested and is being prosecuted for the death of a 7 week old child (Dylan Cummings) who died while under the care of Little Eagles Day Care Center which is a day care center affiliated with Bethel Temple Church of Deliverance. The director and another employee are being charged with child neglect. Attorneys for the day care director and the employee report that the Defendants cared for the child in a nursery and truly cared for and loved the child enrolled in the day care center. Prosecutors paint a different picture of a day care center that did not follow regulations and that placed children in a crib in a windowless closet. It is expected that the case will focus, in part, on medical issues involving the cause and preventability of the child’s death. It was reported that Dylan died of Sudden Infant Death Syndrome (SIDS). 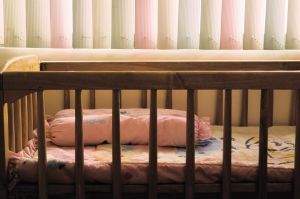 The prosecutor will argue that the child was unsupervised for 2 1/2 hours and that he was allowed to sleep on his stomach which puts an infant at risk for SIDS (Sudden Infant Death Syndrome). There is support to the prosecution’s case in the medical community and with organizations like The American Academy of Pediatrics. The American Academy of Pediatrics (AAP) has recommended that parents and child care providers have babies sleep on their backs. This recommendation has been in place since 1992. Studies indicate that the SIDS (Sudden Infant Death Syndrome) has been reduced with this simple technique or habit of having babies sleep on their backs. See Recommended Sleeping Position for Infants. 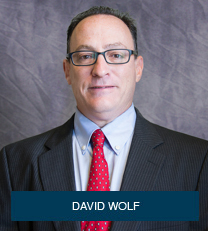 There is no indication that the day care providers wanted to harm the children or had intended the death or injuries to take place; however, criminal cases like these do not require the proof of intent to harm as an element of the prosecution. The death of Dylan Cummings and other similar incidents (See also Autopsy Confirmed that 6 Week Old Died from Positional Asphyxiation – South Carolina.) should be used as a teaching tool for all day care providers about the importance of supervision during nap time and the proper techniques or positions that should be used for sleeping infants.